My second Debian Pixel Build from is from 170425 . My third build is from 180316. Study all included packages – latest by 180316. I’ve added NetworkManager and also Wicd, which makes it easier to configure wireless connections. Choose the one which works for you. I’ve discovered a YouTube video about my Debian Pixel Build 170425. The video is called Debian Pixel..Exton forks it for you.. This video is of course also valid for Build 180316. By watching the video you can learn a lot about Debian Pixel’s features. This build replaces version 161223 and 170425. I’ve upgraded Raspbian/Debian from Jessie to Stretch – Debian stable. I’ve also upgraded the kernel from 3.16.0-4-686-pae to 4.9.0-9-686-pae. I’ve also included kernel 4.9.0-9-686, which shall be used on older computers. PAE (Physical Address Extension) increases the physical memory addressable by the system from 4 GB to 64 GB. Firefox have been installed so you’ll have a browser when logged in as root. You can’t run Chromium as root. Another good thing about Firefox is that you can use it to watch Netflix movies. On December 22, 2016 I read that the Raspberry Pi Foundation had announced the release of a new PIXEL image that can be booted on a PC or Mac. Study this site. I saw immediately that there was no installer included, which I thought was a little disappointing. Come to think of Refracta tools, which work very well in Debian and Ubuntu. I quickly made a “remix” of the Raspberry Pi Foundation PIXEL image. My remix thus include Refracta tools. This means that you can easily install the system to hard drive and you can just as easily make your own remix of the Raspberry Pi Foundation PIXEL image. I’ve added a few packages. Most important Synaptic, which I find essential. Raspbian had its biggest update ever in September, 2016, thanks to a dazzling new desktop environment called PIXEL. Raspbian with PIXEL (which stands for “Pi Improved Xwindow Environment, Lightweight”) is a huge software update to the desktop environment. It introduces a crisp new interface, and is brimming with new programs and features. My build/image works very well in VirtualBox and VMware. I.e. you can run the system directly from the ISO file and also install it to a virtual hard drive. You can of course also make your own Raspbian/Debian system with the the PIXEL Desktop using Refracta Snapshot (pre-installed). Kernel 4.9.0-9-686-pae is used in Build 180316. PAE (Physical Address Extension) increases the physical memory addressable by the system from 4 GB to 64 GB. If you want to run the system (which is 32bit) on older computers you shall use kernel 4.9.0-9-686, which also is included. Log in to the PIXEL Desktop as the ordinary user pi or as root. 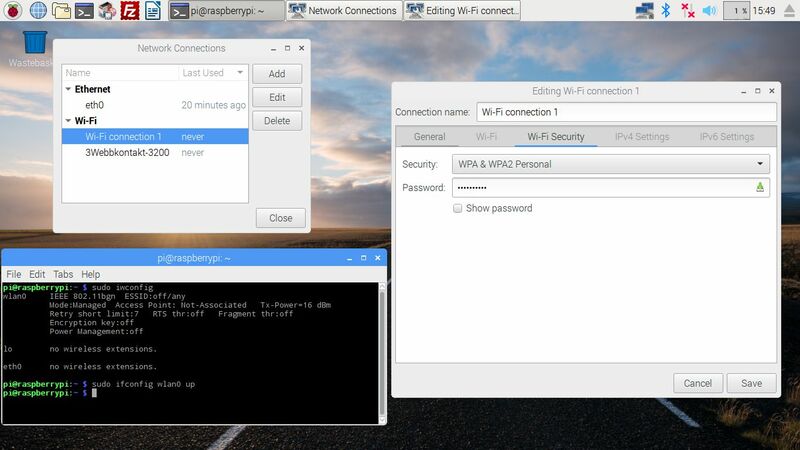 The passwords are raspberrypi respectively root. When logged in as pi you can use Sudo to become root. (Command: sudo su). When running Debian Pixel live (from a DVD or a USB stick) you’ll end up (after the boot process) logged in automatically as the user pi in X (PIXEL Desktop). Another great thing is that this build can run from RAM. Use Boot alternative 3 (load to RAM). When the system has booted up you can remove the disc (DVD) or the USB stick. You’ll need at least 2 GB RAM to run the system that way. I.e. superfast! You may want to install Spotify. Just go ahead. It’s very easy. 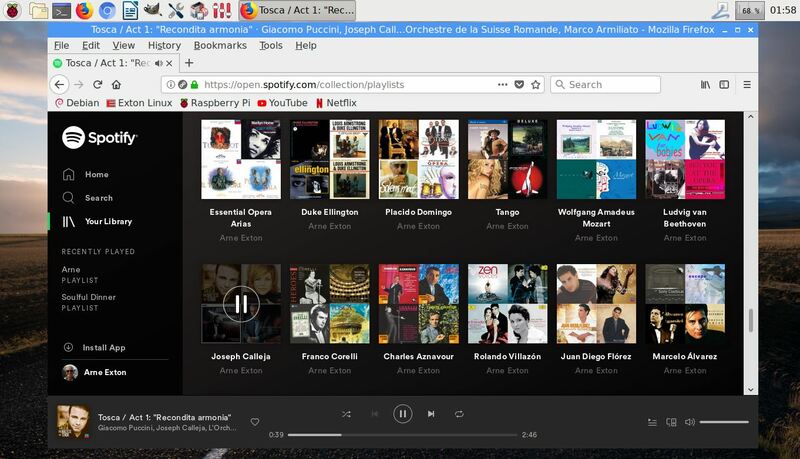 When running my PIXEL image live or from hard drive you can just install Spotify with the command sudo apt-get install spotify-client. Watch a screenshot when Spotify is running. You can use the Refracta tools (pre-installed) to create your own installable Debian PIXEL system once you have installed my build to hard drive. I mean change everything and then create a whole new Debian live system. Start Refracta from Menu >> System tools >> Refracta snapshot. You don’t even have to install my build to hard drive before you can use the Refracta tools. If you have plenty of RAM you can create a new (your own!) Debian PIXEL system while running my build from DVD or a USB stick. Please note that the whole Refracta process (creating your new ISO file) will only take 20 – 60 min! Please edit the configuration file /etc/refractasnapshot.conf first. Change line 45 and 46. I.e. decide where you want the ISO file to be build. The whole thing is very simple. NOTE: You can also do everything in VirtualBox or VMware. Use FileZilla (pre-installed) to transfer your new ISO file to your server. 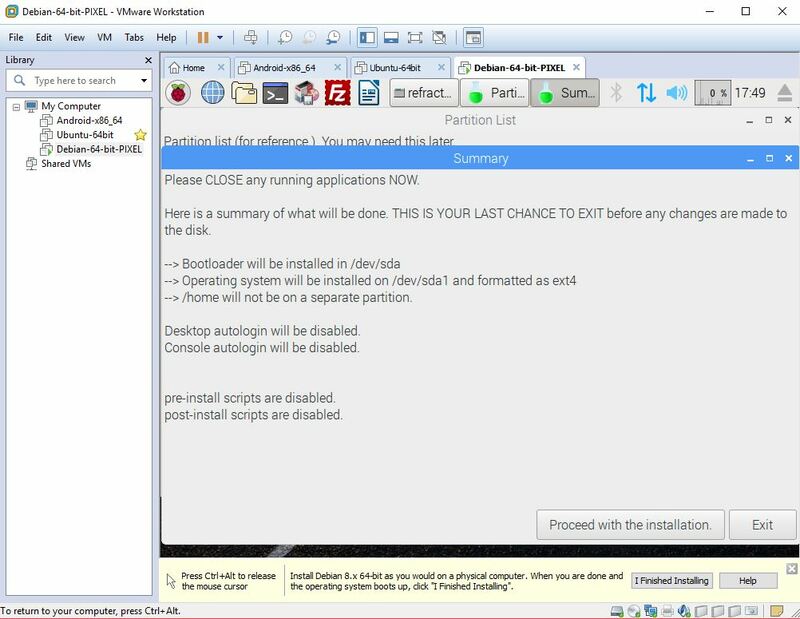 Just start Refracta Installer from Menu >> System tools >> Refracta Installer and follow the instructions. Very simple. You can use Rufus in Windows. Persistence can’t be enabled though. 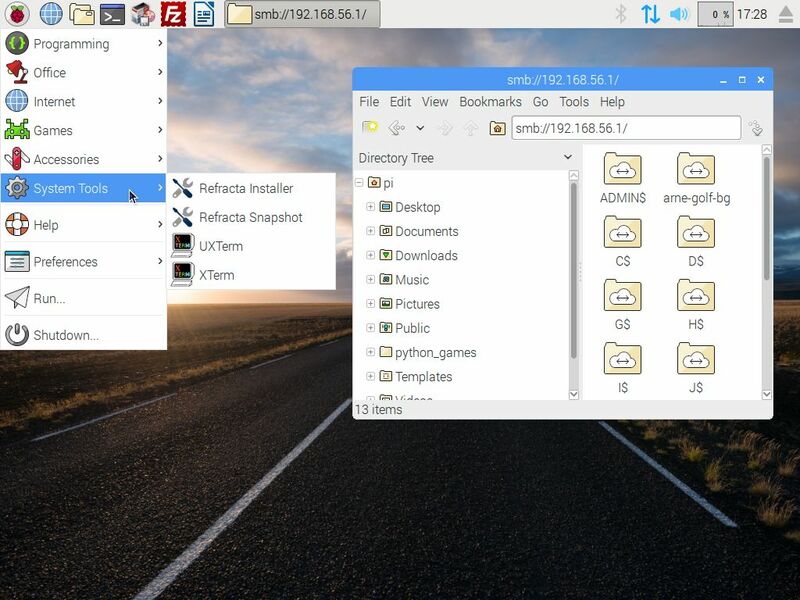 You can also use UNetbootin in Windows or Linux. The best way to do it is to burn Debian PIXEL to a DVD, start up the system from the DVD and then use Refracta Installer for the installation. Choose to install Grub in MBR on /dev/sdb. (Normally your USB stick, but check it carefully!) I.e. you will get a chance to choose between /dev/sda and /dev/sdb. This method will (of course) give you perfect persistence. 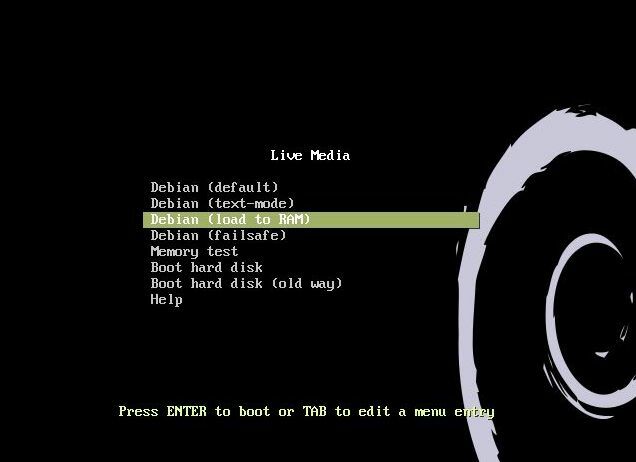 Watch the slideshow below showing the Refracta installation process in Debian PIXEL. This build of Debian Pixel has been replaced by Build 180928.
andex.exton.net – latest is AndEX Oreo 8.1! raspex.exton.se – latest is RaspAnd Oreo 8.1! 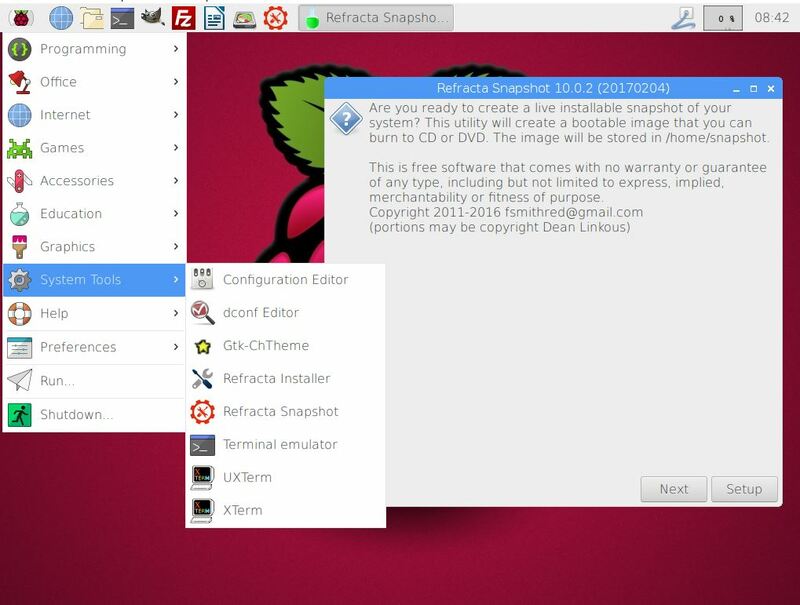 Softpedia 180315: Developer Arne Exton announced today the release of the third iteration of its Raspbian PIXEL remix rebased on the Debian GNU/Linux 9 “Stretch” operating system and synced with the upstream changes. “Raspbian PIXEL for PC and Mac is a Debian-based operating system created by the Raspberry Pi Foundation for those who want to run the de facto standard Raspberry Pi OS on their personal computers too. Arne Exton did a remix of Raspbian PIXEL a few years ago to include the Refracta tools. I have been closely following your excellent development work on Build 170425 and made it working on first my bootable USB stick s then on my bootable USB external HD. Thanks again for your helps on many of my problems in the past. To enable my wifi connection point forwarding working with my Frontier (my PIS) router, I need to set up static wifi ip address in my LAN. I tried NetworkManager (both from GUI and nmcli tool) and Wicd, but none of them worked. Your new sreensshot 5 and Wifi connection seemed to only reflect to hdcp settings. I would really appreciate it if you can enlighten our ordinary users on static ip addresses.